This page was created in order to share a portion of our network of sites with you, making it easier for you to view the sites. Please note the links on the left side of the page which will share the depth of our network and sites, making it easier for you to see them all one at a time. There are four categories at present. 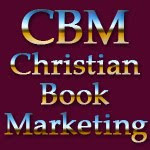 Christian Sites, Christian Author Related Sites, General Christian Sites and Health Sites. Each link leads to a separate page with extended sites on that page. We will be updating this page on a regular bases, so please visit often.